Efficient airport-to-airport freight services. Fast cargo delivery. Specialised cargo handling processes. All these benefits can be achieved with the right computing technology. This device must have the required specifications needed for air cargo services. It is to ensure that this device can have the capability to store, collect, analyse and transmit real-time data effectively. Hence, what type of computing system is best suited for air and cargo services? One of the most recommended devices is the industrial-grade PCs like the S22 rugged industrial computers. This type of device can have the key features and specifications ideal for air freight services. It provides an improved functionality and, at the same time, reliability and long-term availability. This 22-inch industrial PC also comes with a projected capacitive touchscreen technology. Cargo handling operators can simply tap specific functions and/or applications which are displayed on the screen monitor. Thus, it helps in streamlining a certain process and speeding up air freight services. Technological advancements have helped a lot of industries in terms speeding up and organising its operations. This, of course, includes the aviation industry, specifically cargo and freight services. Behind that fully operational non-stop conveyor belts are the automated systems installed in computing devices. But, these are not just a typical computing system. This device bears the most fitting specifications to optimise its capabilities for air cargo operations. As a matter of fact, computing devices like the 22-inch panel PC features a projected capacitive touchscreen technology. It provides better touchscreen functionalities and protection against dust, scratch and water intrusion. Therefore, operators can easily navigate an application via tapping the icons displayed on monitors. What is amazing about this product is that internal components are also protected. This allows maximising the operations despite the presence of these potential elements. Air cargo operations have a dynamic activity as it is the fastest mode of transport. Goods are loaded and/or unloaded from one conveyor belt to another based on its destination. These goods have also different characteristics. It can be perishable goods, live animals, pharmaceutical products or electronic devices. And, all these require different cargo handling processes. Thus, it bears harsh working environment. 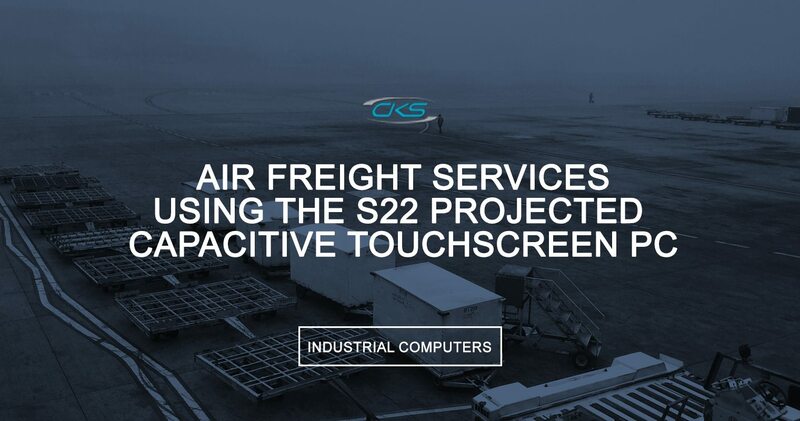 Here are other benefits that air freight services can get when S22 industrial PCs are installed and utilised in the operations. Air freight service providers use automated systems to simplify air cargo handling processes. The S22 touch panel PCs are built with compatible system processors. It is designed to perform industrial operations. Advanced applications such as automation can be installed and use on this device. In fact, existing systems can also be integrated on this device. But, rest assured that the 22-inch panel PC can function effectively. Speeding up an air freight operation requires a reliable and tough computing system. Its system must collect, store, analyse and transmit data from one server to another. Having the S22 industrial computer can help collect, store and analyse each detail of this goods. This device supports hyper-threading, a capability to perform multiple tasks, thus, it aids in achieving fast cargo delivery services. Whilst it is true that the advancement in technology is constantly changing the aviation industry. It is still an essential tool to improve its operations and/or processes. However, the S22 industrial PC can be integrated to an advanced system as well as its existing system. 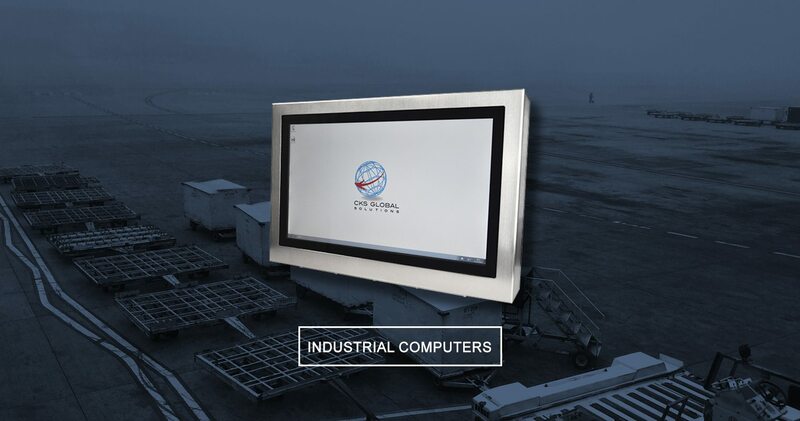 Hence, this computing device is tailored-fit for specific operations including cargo handling processes. Air cargo and freight services have a fast-paced environment with multiple networks of processes. But, you do not want a workstation that is going to fail its system in the midst of operations. That is why building an S22 industrial panel PC is ideal for air freight services. For more info about the product, contact us at (+44) 014 3874 7111.